Talk about a youth movement. The Panthers will turn to some former players to tutor those on the roster in 2019 as the team announced Wednesday that 31-year old Everette Brown, the team’s 2009 second-round pick and native of Wilson, NC, will join the staff as assistant linebackers coach under Steve Russ and 30-year old Ben Jacobs, who spent the last five season as one of the leaders of the special teams unit, will work under Chase Blackburn as assistant special teams coach. 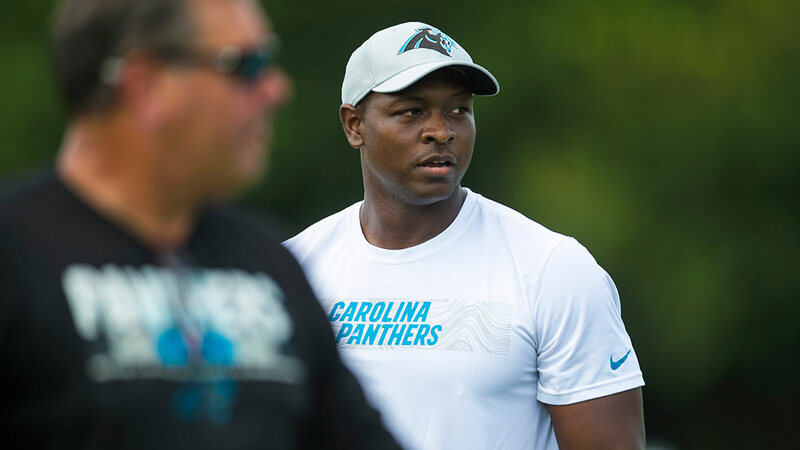 Brown, whose selection was made possible by the trade of the the team’s 2010 first-round pick to move up to #43 in 2009, spent time at Panthers’ practice during the 2018 season as a coaching intern as part of the Bill Walsh Minority Coaching Internship after playing 44 career games with Carolina, San Diego, Dallas and Washington – he worked with the defensive line during training camp last season but will focus on the linebackers in 2019; with the team adding some 3-4 looks last season and perhaps increasing those looks heading into next season, it makes sense to have a former player that played defensive end in both a 4-3 and 3-4 throughout his career. In addition to Brown, the Panthers will add Ben Jacobs to the coaching staff. 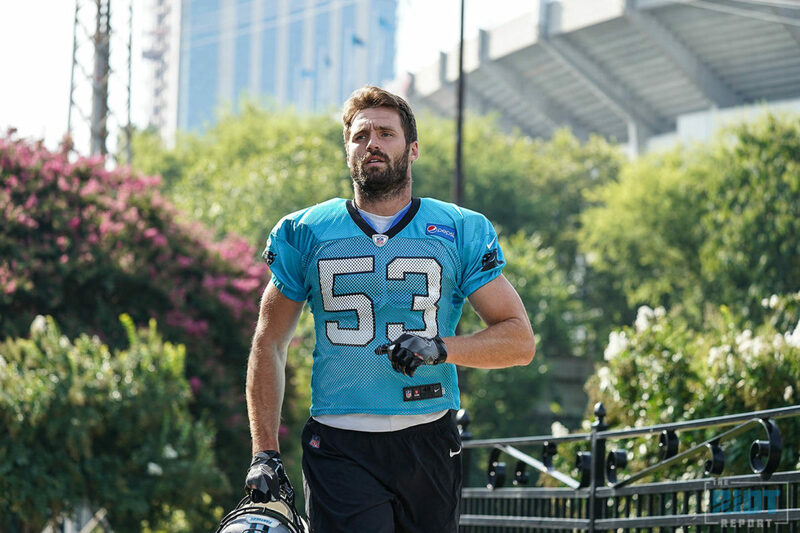 Jacobs, who was on the roster as an active player up until Monday when he was released, has an easy transition from special teams linebacker – the former undrafted free agent tied for the team lead in special teams tackles in 2014 & 2018 and had played in every game for four of the five seasons he was in Carolina – to assistant special teams coach where the vocal player, who was often referred to as having one of the loudest voices in the special teams room, will work under another former Panthers linebacker, Chase Blackburn, to guide the third unit for the Panthers. Jacobs will replace Heath Farwell, who left last month to become special teams coordinator for the Buffalo Bills. In addition to the two new hires, the team will give extra responsibilities to Sam Mills III, who was promoted during last season to defensive line coach and will now work on gameday with game management responsibilities to include timeout usage, clock management and replay assistance. The addition of a game management coach has become en vogue in the league over the past few seasons as Sean McVay added a specific staff member to handle the responsibilities and the Falcons have assigned those tasks to former Chiefs defensive coordinator Bob Sutton; Panthers owner David Tepper made mention of the intention to add this position last month and it will be handled in 2019 by Mills III, who has been with the Panthers for 14 seasons entering 2019.  The Panthers now have players who have donned a Panthers uniform at multiple assistant positions as Brown and Jacobs join Jerricho Cotchery and Travelle Wharton on the coaching staff.